B3W is one of the first providers of casino games that ventured into the online world as early as 1997. The company has also a number of casinos that feature most or all of their online slots and casino games. Besides this, they also provide their own white label platform which has served as the outfit for a number of casino sites that offer primarily casino games. Their own casino has several dozen classic casino games such as Texas holdem, poker, blackjack, roulette, baccarat, hi/lo and so on. Additionally, they have progressive jackpot slots, video poker, scratch cards and a variety of virtual games. Throughout their long history they have created an impressive roster of slots and casino games which lists more than 150 different titles. They also have accolades for launching their own poker network and they have become part of the NYC OGS Games network, and it is common knowledge that NYX have become part of Scientific Games to form the SG Digital group. Being famous for making the first online slots on the then Macromedia Flash platform, b3w still makes Flash games, whereas today this product is owned by Adobe, but still retains its presence on the web. At any rate, it is worth noting that Flash is a stable platform and the games on it are much more stable across a range of devices than HTML5. The reason being is, Flash games can run standalone, meaning, they don't need to be downloaded as part of a full-blow platform. Hence, these load quickly. 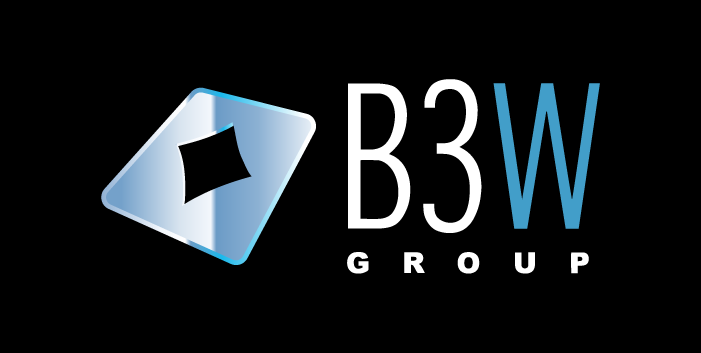 The licensing that bolsters b3w group's presence comes from the Malta Gambling Authority. There aren't any other licenses, which is too bad, by Malta sounds good and credible to most online slots players out there. And now for some titles from this developer that have stood the test of time. Even though some of them are quite old, they can still be played at a good number of online casinos. With 25 paylines, five reels and three rows, this game does a great job with the Gladiator symbol which is the Wild and appears on reels two and four. The wild expands to increase the chances for landing a winning combination. The two bonus games are brought about by the SPQR symbol and the laurel leaf. The Gladiator slot jackpot is 5000 credits times the winning wager and the cash prize next to that one is 500. You can play a smallest bet on this game as little as 2 pennies per payline. Enjoy the Gladiator slot at SlotsWise and claim free spins from a number of great online casinos. The mafia-inspired 25 payline slot by b3w plays across five reels and three rows. The top payout is 5000 coins and the gameplay is enhanced by scatter symbols and an expanding wild. This can be considered a penny slot as the player is able to bet as little as a penny on one payline, but that doesn't get you anywhere near the Don's favor. Surely, the theme provides many options for bonus games and the developers have opted for a game that has to do with pasta. Indeed, the Italian staple food is part of the Paste Della Mamma bonus feature when you land three or more of the pasta symbols. There is not the same but a similar slot in the Slothfather, which can be played on a welcome package through SlotsWise. This title captures the attention because it rings a familiar bell, but once on the reel-set it becomes immediately clear that the term Jurassic could not be exclusively tied to you know what franchise. On the other hand, the game's design is a far cry from the blockbuster and doesn't even try to make any associations to it. It is a thing of its own, with pretty cute design features and a sense of humor seen in selecting BBQ Bonus Game for the title of the bonus feature. The Jurassic World slot plays across five reels, three rows and has 25 paylines. There are expanding wilds and top payout of 5000 coins. This nine payline game by b3w is incredibly cute and fun to play. Space Runners slot features bizarre symbols such as an eye held by pipettes, a sad looking alien creature, couple of spaceship variations and so on. The graphics are impeccable and the gameplay offers a paced reel action that delivers up 25 free spins that are part of the bonus feature. What is more, during the free spins game all winnings are tripled and the Wild symbol still substitutes for any other symbol except the scatter. The scatter Planet symbol helps the symbols pay anywhere across the lines. The game's top payout is 2500 coins while the second to that payout is 800 coins times the wager. This Mayan-themed slot by b3w still captures the player's attention because the reel-set and its background remind of the renowned Secrets of the Phoenix slot. Although the gameplay is not the same and there aren't any collapsing reels, the Royal Maya reminds of that game in color and theme. The symbols are mayan runes and the symbols are the things that were held as dear by this ancient people. The Royal Maya has just nine paylines and has in-game multipliers of x2. The free spins bonus round gives 25 free games and the top payout is 2500 coins times the winning wager. The b3w company has a different approach to slots. The industry has changed significantly and there are online slots that display extreme graphics and gameplay characteristics. This is not the case with b3w and that is more than welcoming in the sea of online slots. These online slots provide diversity and have their own following. Granted that the payouts and the random number generator values are the same across the board in all online slots, there are players who prefer 2D games without animated sequences and the accompanying pots and whistles, and this is where b3w Group has its place in the world.